I love the bright pink and yellow buildings. I love how much everything east of Puerto de Sol reminded me of Paris, yet the wide main roads and squares make it easier to breathe. 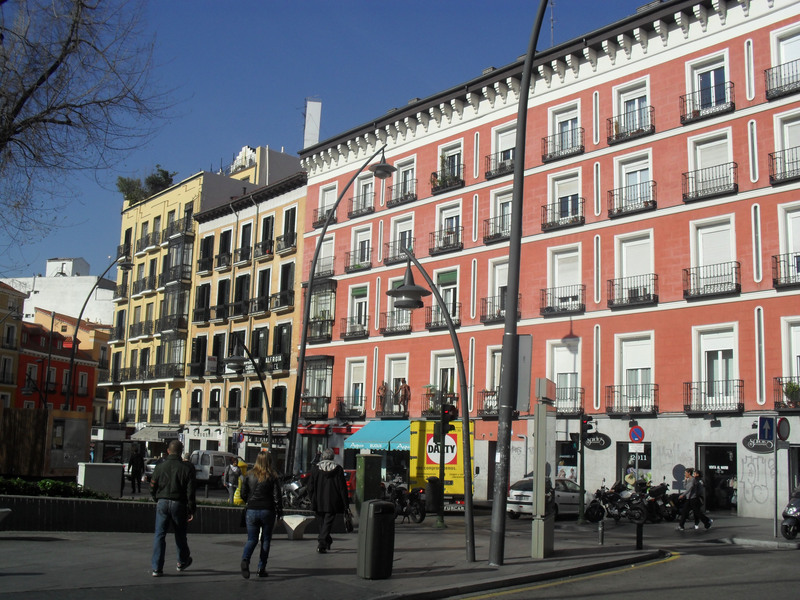 I love the concrete squares that dot the city, even though they felt like frypans in once the mercury hit 30ºC. I love that the graffiti seems to be restricted the metal roller doors in front of shops, so it completely disappears in business hours, and then transforms the streets at night. I love the beautiful designs on the tiled street signs. I loved my hostel – Musas Residence, with dorm rooms and ensuites that seemed more like apartments than a backpacker’s squat. And I loved their free sangria night (what did you expect? I’m an Aussie!). 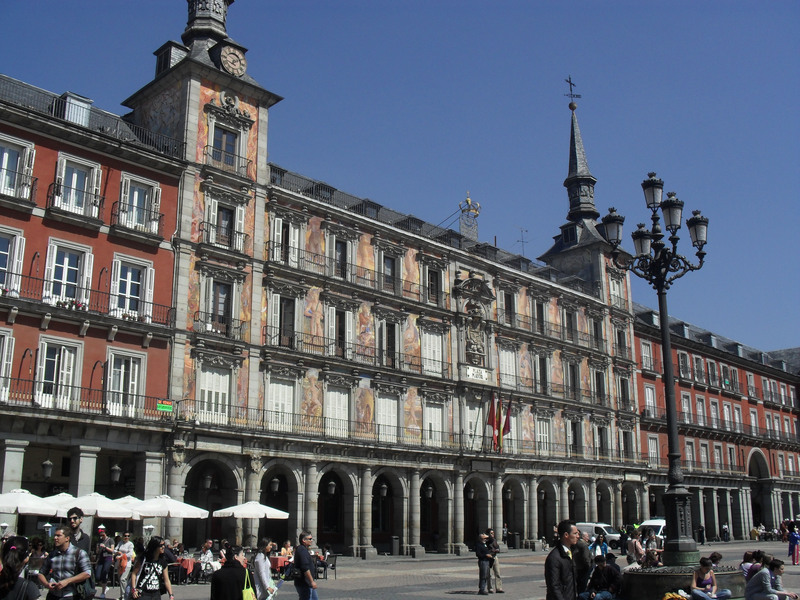 I loved Plaza Mayor and the mosaics on the buildings. 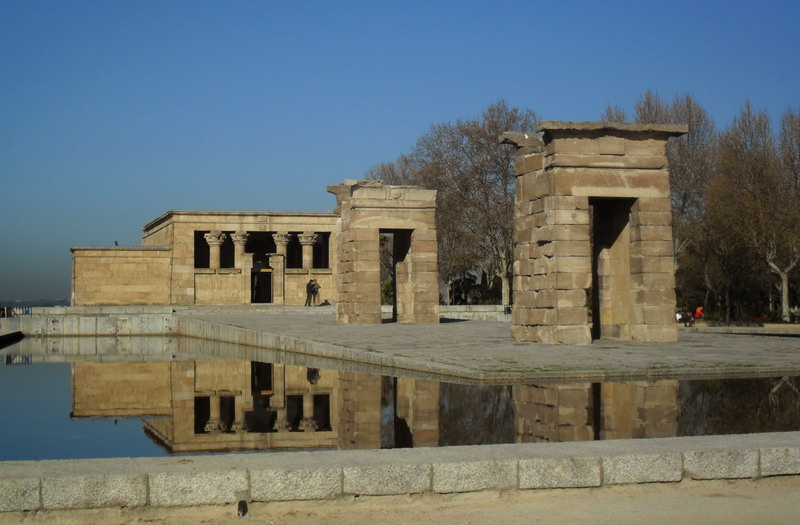 I loved the Templo de Debod – a genuine second century Egyptian temple transported to one of Madrid’s gardens. I loved Plaza de España, with market stalls under little white marquees selling clothes, accessories, souvenirs and other knick-knacks. 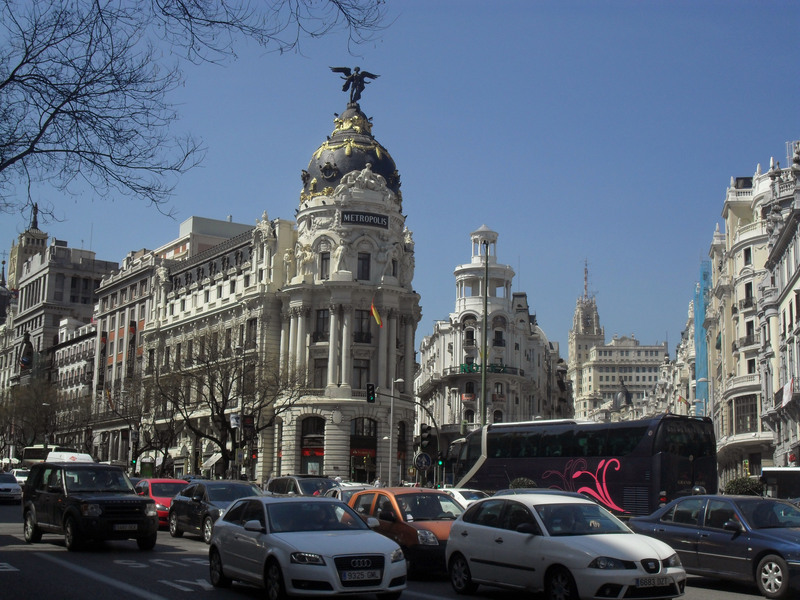 I loved Gran Via, a big shopping street that leads from Plaza de España to another palace . . .
dedicated to the post office. 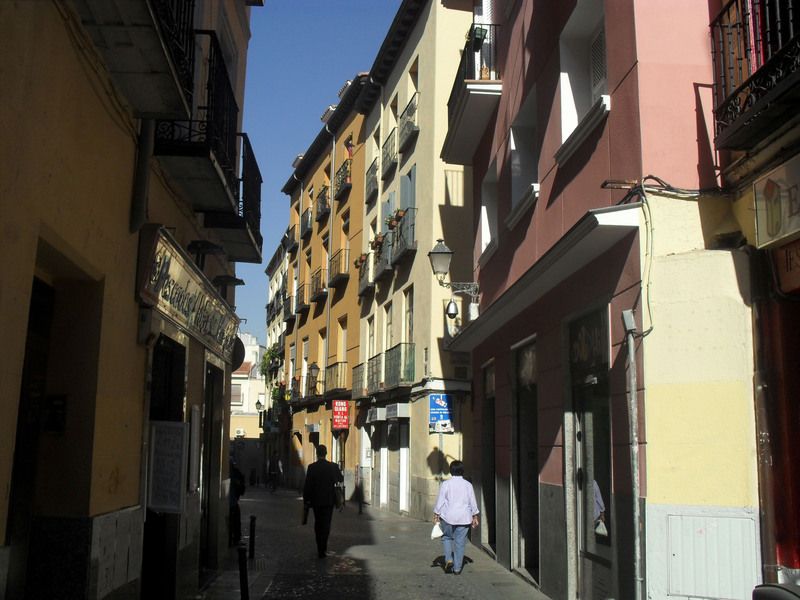 And I loved the cheaper, grungier shopping streets that turned south off Gran Via. I loved Mercado de San Miguel, one of the oldest covered markets in Madrid. The original metal construction now has glass walls and the rather posh market has bars selling sangria filled with freshly chopped apples and oranges. Other bars sell delicatessen products, tapas, fruit, cheese and baked goods, and they surround café-like benches that run down the centre of the hall. 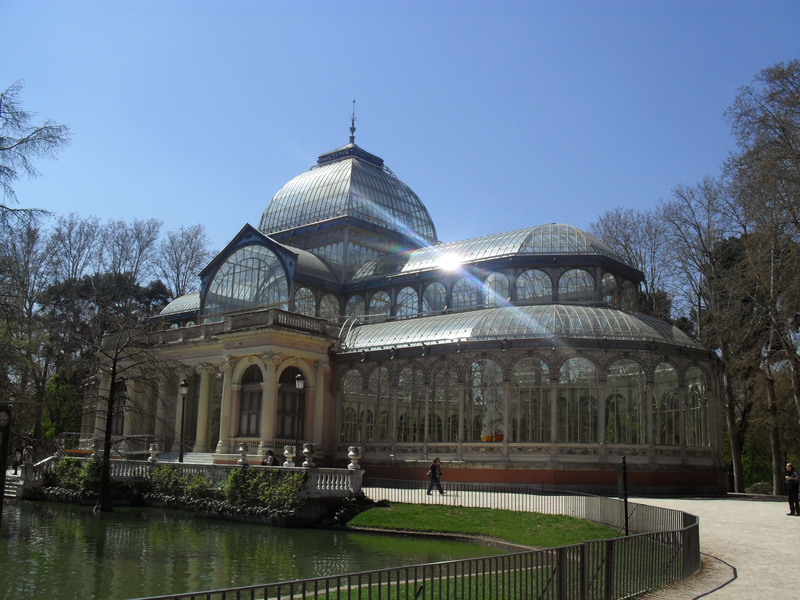 I loved the enormous Parque de el Retiro and the Crystal Palace, which twinkled like a star in the sun. 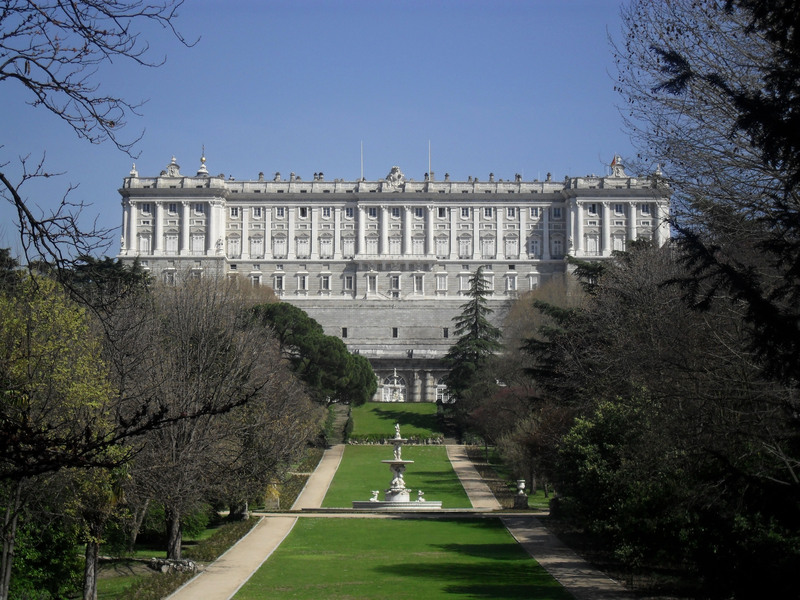 I loved the gardens around the Palacio Real, though the palace was no Versailles. I liked the Prado museum . . . but I prefer the Louvre (look at that – the French must have rubbed off on me). I don’t even know why I loved it so much, but I did. Even when I was wandering around lost. Especially when I was wandering around lost. ← My favourite place in Barcelona . . .